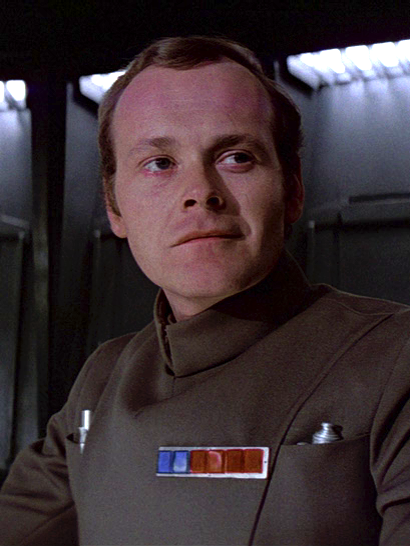 Richard LeParmentier, who played Conan Antonio Motti in Star Wars: Episode IV - A New Hope, was born on this day in 1946. The British actor portrayed the character later credited as "General Motti" in the first installment of George Lucas' Star Wars film franchise. General Motti was the Chief of the Imperial Navy who held the rank of admiral aboard the Death Star during the Galactic Civil War. The character was bold and arrogant enough to openly question the Dark Lord of the Sith, Darth Vader, for his failure to discover the location of the Rebellion's secret base during a meeting on the Death Star. Vader then force choked Motti for 'his lack of faith' in the dark side of the force in what became one of the most iconic scenes of the Star Wars saga. The sequence revealed to the audience the sinister nature of the Sith Lord and the power that resided in the 'more machine than man' Vader. The 66-year-old later co-starred with Terence Stamp, who portrayed Finis Valroum in Star Wars: Episode I - The Phantom Menace, in Superman 2. LeParmentier died on April 15, 2013.